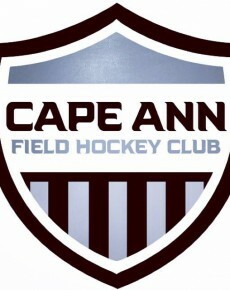 Cape Ann FHC prides itself in the caliber and experience of its coaching staff. Our coaching staff is comprised of seasoned veteran’s with both national and international experience, assuring our athletes receive the best training possible. Please click on the pictures to learn more about each of our fabulous coaches! Caitlin is the longest tenured member of the Cape Ann FH Club. She has been playing for 5 years, but her family has been a part of the club for over 9 years. She completed her high school field hockey career at Acton-Boxborough Regional High School in 2017 as captain of the team. Along the way Caitlin was a key player for the team that won a State Championship in 2015, as well as a League All-Star and a Boston Herald All-Scholastic in both her junior and senior seasons. She was named to the All-Region team as a junior and senior and in her senior season she was named a Super 60 All-Star and a Third-Team All American. Caitlin is also a vital part of Cape Ann’s program. As the captain of U19 Black, Caitlin has helped them develop into one of the best teams in New England. Caitlin will be attending The College of the Holy Cross in the fall to continue her field hockey career. Not only has Caitlin brought a lot to her team, she has also done a lot for the younger teams as well. 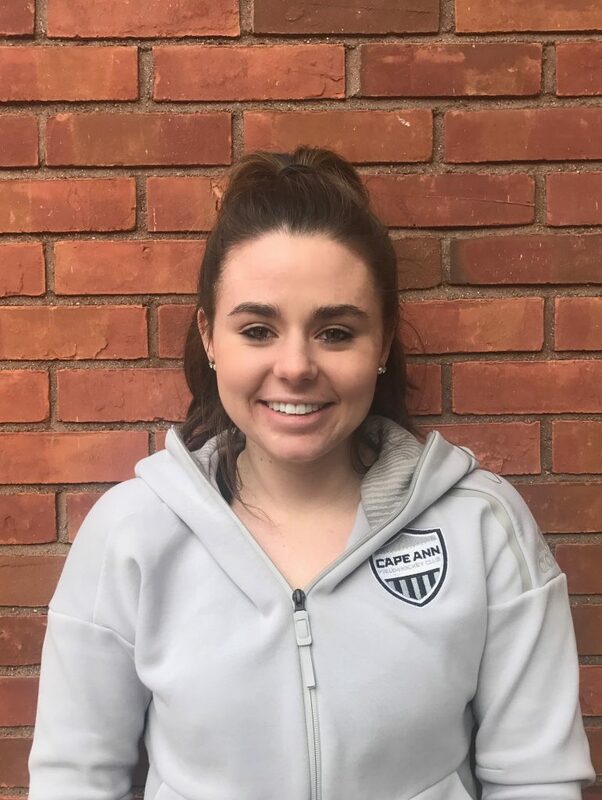 As a second year Coach In Training, Caitlin helped coach both U14 indoor teams and traveled to NITs with the Panthers. She also helped coach the U16 indoor teams at both practices and in multiple tournaments. She also helped run the Wednesday night Sudbury Field House skills sessions. Caitlin brings a lot of knowledge and passion the club and we are lucky to have her! 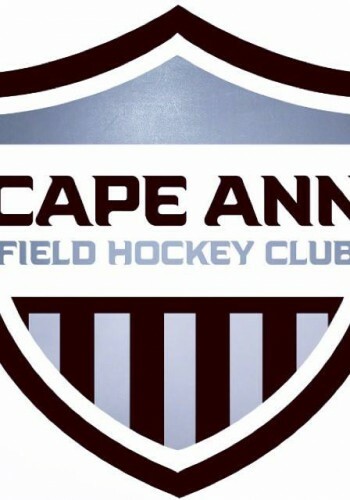 Coach Pothier has been the owner & director of Cape Ann FHC for 7 years, before that he was a head coach for the club for 6 years. Chris’ playing career includes 3 years in the US JR & SR men’s outdoor & indoor program He is the former head coach for Worcester State University where he has seen a spike in the program’s success since his debut, where his first season, finished 3-15 & in 2013, finished with a 12-8 record, a Little East Conference tournament appearance, the program’s first ever ECAC tournament win. Chris was also the assistant coach, team manager & video analysis for our US Field Hockey’s Men’s National Program from 2014-2017. 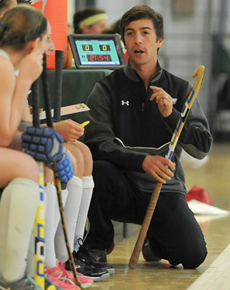 During his time with the Men’s National team in 2017, the team earned a program’s first double bronze medal in both the Hockey World League Round 2 in Trinidad & Tobago and also at the 2017 Pan American Cup in Lancaster PA.
For two years, Chris has been on the board of directors for the Northeast Premier Hockey non profit organization that has taken on the task to promote adult, collegiate & club hockey in the Northeast. A graduate of the University of Southern Maine, with a bachelors in science in Exercise Science, coach Pothier looks to create a professional life-long club for both girls & boys. Ken started coaching high school field hockey in 1994. Over 15 years, he coached 8 Division Champions and 4 State Champions in Rhode Island. Ken developed 17 All State players and 6 NFHCA regional All Americans. In 2012 he completed his USAFH Level II Coaches Certification and is currently a Head Coach in the Northeast Futures Region. He has coached many teams at the National Futures Championship, most recently in 2015. In 2013 Ken led his U16 NFC team to a first place finish winning the gold medal. In that same year he coached one of 8 teams at the Junior Olympics at the University of Michigan. Ken is currently a field hockey umpire working college in Divisions 1, 2, and 3. Audra enters here second year on staff among our Goalkeeping Academy coaches! She is currently a Junior at Boston College who brings a young & vibrant energy to our players who can really relate & look up to her. Audra has also had experience at the international level playing in Germany and Argentina on the Women’s National Indoor Team from 2011-2013 alongside fellow Cape Ann coach Meg Bozek. Before BC Audra was a super-star at Hopedale High School. Recorded an 88-10-2 record as a five-year (2008-12) member of the Blue Raiders varsity squad, registering an 0.34 goals-against average, a .915 save percentage, and 81 career shutouts in that span which broke the national, all-time high school record for shutouts. She was named Central Mass Co-Player of the Year in 2010 and Dual Valley Conference All-Star honors from 2008 to 2012 and also garnered Central Mass All-Star accolades four times. As a film student at BC, Audra is able to produce professional grade quality recruiting videos for Cape Ann players to send to college coaches. We are excited for Audra to continue the work she’s done over the past season and beyond! Nick Richardson hails from Kents Hill Maine, where he played & coached to start his hockey career. With a dedicated hockey family, his father & sister shared Nick’s passion for the game. Nick has been playing in the US Jr National Program for the better part of 4 years now. He spent 2 years playing over seas in South Africa & Australia. Nicks dedication & passion for the game is extremely apparent & contagious. Having played under the tutelage of Cape Ann directors, Chris Pothier, Nick’s philosophy has ben established along the lines of where Cape Ann is headed. He is currently a sophomore Nursing Student at the St. A’s College in New Hampshire. Nate was a former Cape Ann player who has now joined the staff as a goal keeping coach. 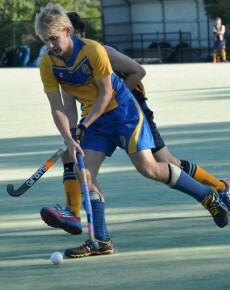 Nate is currently a member of the Men’s U21 Field Hockey Team. 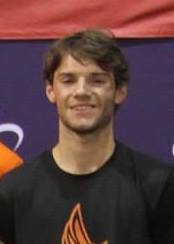 He has competed with them in multiple tournaments/events and is currently in contention for the U21 Pan Am Team to compete at the 2016 Junior Pan Am Games in Toronto, Canada. 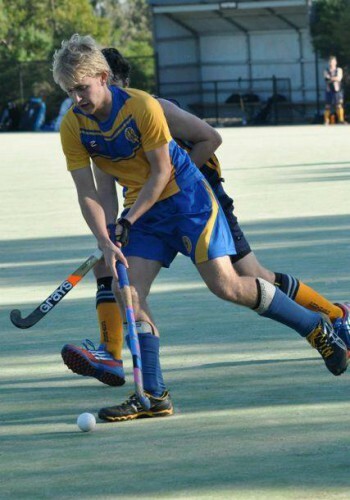 Nate brings a wealth of field hockey knowledge to the staff and we are excited to see what he can do both as a player and a coach!